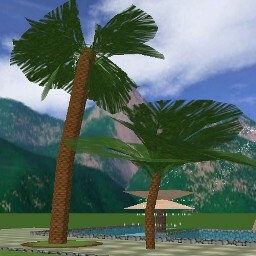 These gorgeous palm trees are native to such tropical places as File Island but now they can be anywhere you want them to. 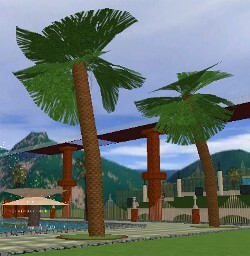 This pack includes twelve different variations of the palm, including four tall straight standing trees (kink direction specified in filename), four tall leaning trees (lean direction specified in filename) and four mini versions of the palm. Each tall version stands approximately 15 meters in height, while the mini version stands about 8~9 meters. The mini has a much smaller trunk than the tall version as well, as seen in the graphic above.